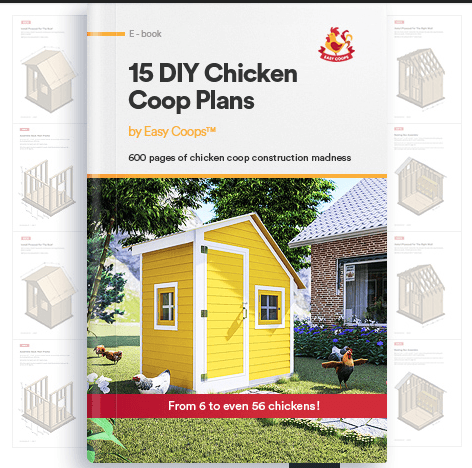 "15 DIY Chicken Coop Plans by Easy Coops" - FREE CHICKEN COOP PLANS! This product, by Easy Coops, includes 15 downloadable plans. The company states that their coops will house “6 to 56 chickens,” which is rather bold! Below is the information and reviews we gathered. As a brief overview, we really liked these plans and found them to be truly geared for those who don’t have (or want) a lot of carpentry skills or tools. We just wish there were a few more! This product has been around a long time, and there are thousands of people all around the world who have taken the chance and now love their new chicken coop. Best of all, they were able to build it themselves. If you need more information on what to consider when building your coop, see our Chicken Coop Guide. These plans are not perfect, however, and we discuss all the pros and cons below. Click here to see the product page. The plans are easy to follow, even for the beginner. The plans take a lot of the guess work out of coop design in determining correct flock to coop ratio. Plans are suitable whether you live in the country or the city. Unlike other chicken coop plans which claim to be beginner friendly, these actually are. You can get a good idea of what the plans will look like right from their initial web page. We liked that. They are solid! A cement foundation is included in many of the plans. They provide good information about suggested building materials. Great photos, videos, graphics which are very helpful during construction. There were not many Chicken Tractor (movable) coops to choose from – for the Urban chicken owner, this may be a deterrent. They will require a lot of work – they provide a lot of detail about the coops, which make them simpler to build…but simpler doesn’t mean easy! Not as many available options for people only wanting 2-3 chickens, as most coops were designed for 4 or more chickens. 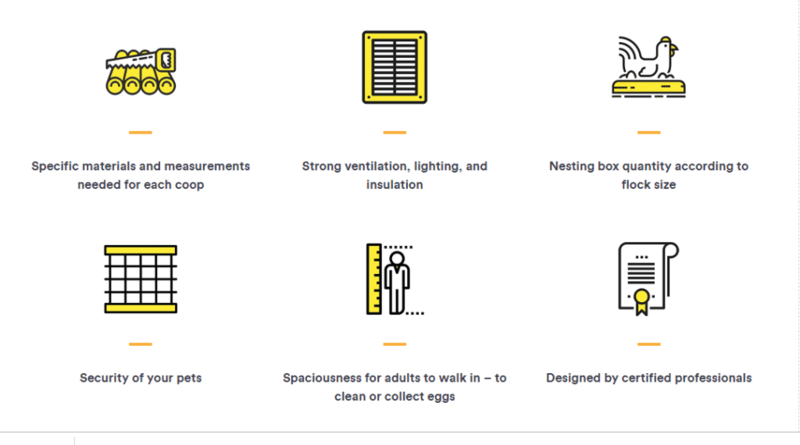 This company took great pains to make some great functional chicken coops. It would have been great to see a larger variety of coop designs, but what they offer in their 15 plans are great quality and ease of installation for chicken farmers of any skill level. The price point of $29.99 does not seem too high, even though fewer plans are offered than from other coop designers. As the saying goes, “you get what you pay for,” and that certainly hold true here as well – and in a good way!